Alfa Romeo, the renowned Italian marque known for building models with passione and bellezza, is planning on switching over to an entirely rear-wheel drive model lineup over the next few years. Huzzah! The driver wins again. Over the past couple of years Alfa Romeo has developed the nasty habit of selling re-branded front-wheel drive Fiat hatchbacks as their own cars. Don't get me wrong, the MiTo and the Giulietta aren't bad, but they're not exactly the stylish and sporty Alfa racers of old. Now, though, Fiat Group boss Sergio Marchionne (he of "wop engine" fame) wants to push Alfa more into the Maserati sphere of influence, according to CAR. Since the stated goal is to bring more driving pleasure to the whole lineup, you won't hear any criticism from me about that. Arriving first will be the Giulia, which targets the BMW 3-series, which should arrive in 2015. Following a year later is the Alfetta, which is gunning for the 5-series and E-class and may include a Sportwagon version. The Alfetta will be smaller than the old Alfa Romeo 166 and there will be some overlap with the Maserati Ghibli in terms of size, say insiders. 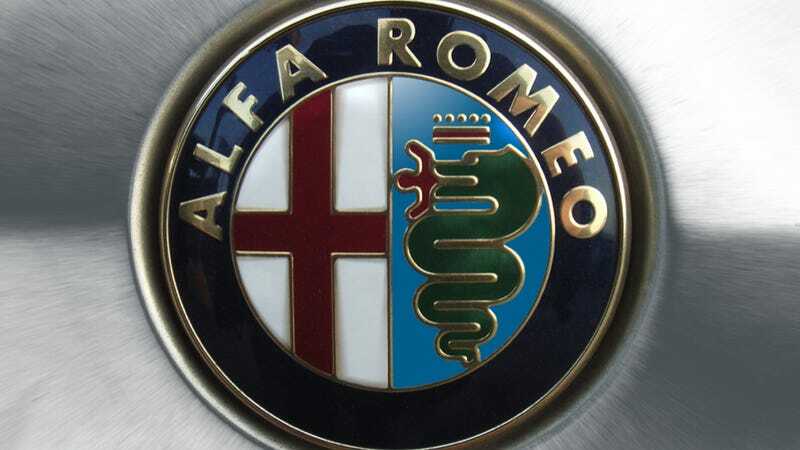 The report also says that there will be two Alfa Romeo SUVs, but so what. Granted, this is all coming from the company that was supposed to roll-out a full American lineup in 2009, so you might want to take it with an Italy-sized grain of salt. Even still, RWD Alfa Romeos. How does one say "Hallelujah" in Italian?